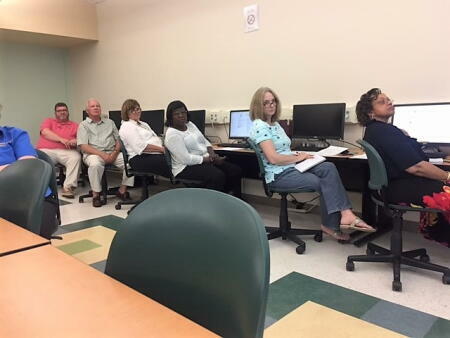 The Columbus County Community Foundation recently hosted representatives from local grantseeking nonprofit organizations for a grantseekers workshop training. 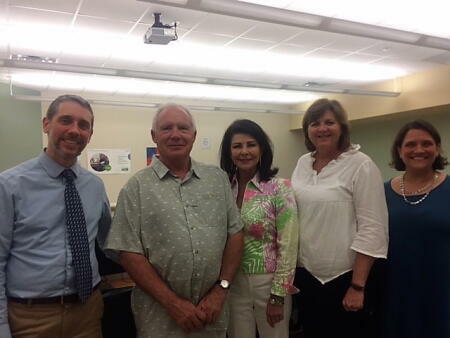 NCCF Grants Program Manager Christopher Fipps, Columbus County Community Foundation Board Vice President Henry Edmund, NCCF Regional Director Anne Sorhagen, CCCF Board President Becky High and NCCF Grants & Scholarships Director Leslie Ann Jackson pose for a photo (above) at the grantseekers workshop. Fipps (pictured above) works one-on-one with a workshop participant. 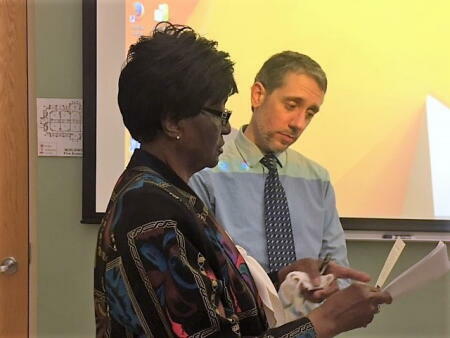 The training features opportunities for grantseekers to learn directly from the grantmaking experts at NCCF on best practices for grant writing. Grantseekers pictured above hear from NCCF staff at the workshop and learn the key to a successful proposal.